County Fair Projects We’d Like To Share! It’s that time of year for Merry-Go-Rounds and big winning sounds. Fun games, spinning rides and fried food on a stick. Cotton candy, cold drinks and colorful lights to end the summer just right. Participating in the fair is more than having fun. It’s an opportunity to creatively contribute to our community, receive positive feedback, accomplish goals, and be celebrated within mainstream society! much more about community gatherings and celebration. It’s among the very few things that attracts a vast portion of the population to the same place at the same time for many purposes. It’s also a place to impress our friends and abandon our diets! County fairs are a magical social wonderland in that they bring folks together of every walk of life. They are a bit like a holiday: fun for those who attend, everybody gets along for a while, and a great day is had by all. People of all ages cheer each other on, celebrating their diverse talents and interests. Everybody has a chance at winning, being acknowledged and is included. Every year a couple dozen Sojourners participate in the competitive exhibition that is known as the Carver County Fair. Some Sojourners spend a couple years working on a special project to be entered. 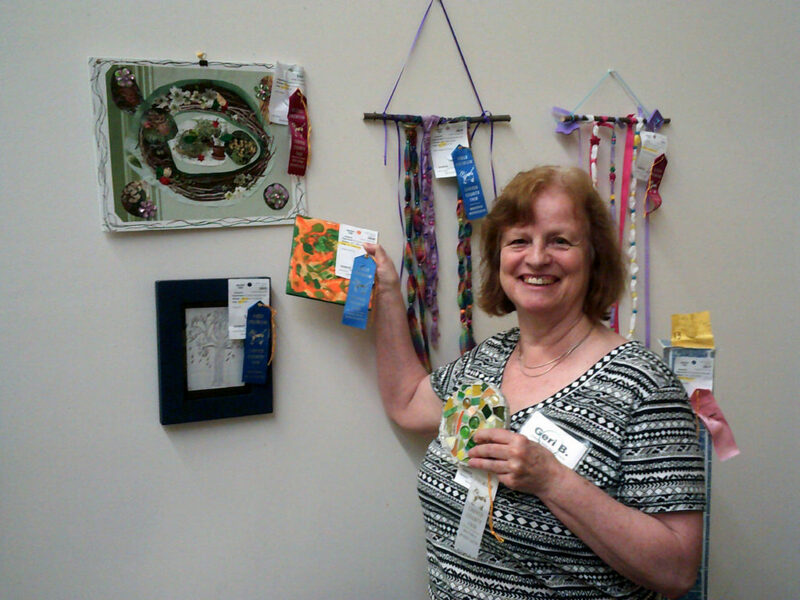 Entries vary from handmade quilts, ceramic tiles, cement mosaics and embroidered classics to watercolor masterpieces! It’s our way to demonstrate who we are, what we stand for, and what we can contribute. And, it’s fun! 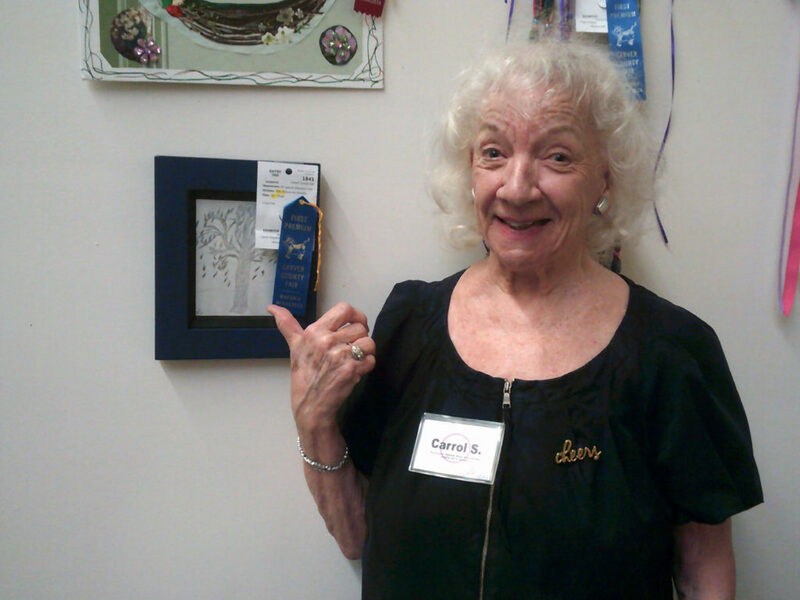 With many awards and placement ribbons, we had a wonderful time showcasing our talents. 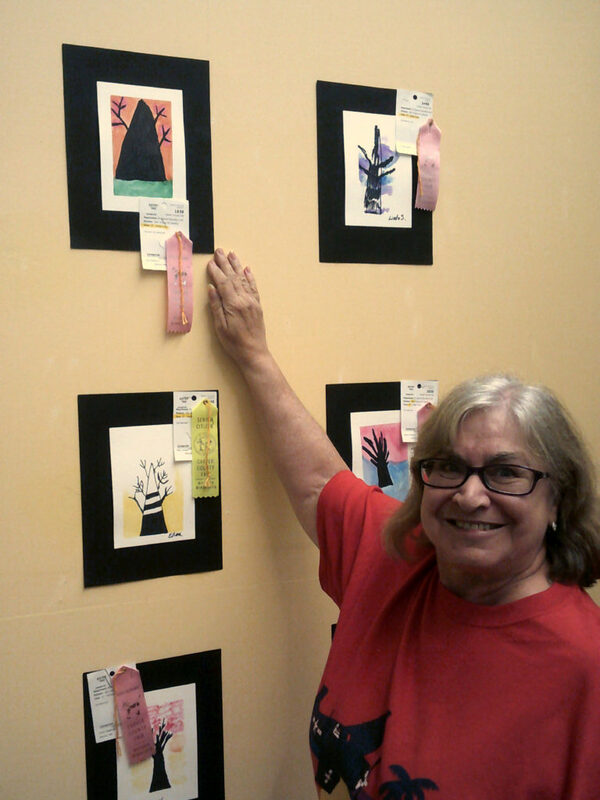 Our work is displayed at the day center in Mound. Be sure to swing by, say hi and admire these beautiful pieces!